Canadian Studies in Russia has a long history. The first Russian research on Canada emerged in late eighteenth century. After that time and until the beginning of the twentieth century, all studies of Canada were inspired by a seeming similarity of both countries in terms of territory, population, climate, etc. Canada was also examined as a new home for many citizens of the Russian Empire who emigrated there at the turn of the twentieth century, looking for a better life. Since the 1930s and the emergence of a Canada more independent from its British mother country, Russian historians, economists and lawyers have shown interest in Canada’s political system, specifically its federal model and the country’s legal system. Although Moscow and St. Petersburg have long been the main centers of Canadian Studies in Russia, regional centers in other large Russian cities also engage in research teachings under the aegis of the Russian Association for Canadian Studies, founded in 1991. 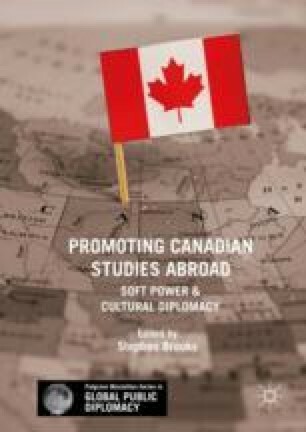 This chapter seeks to present to the world many famous Russian scholars who made significant contributions to Canadian Studies and who deserve to be known by the global community of Canadianists. Kanadskij pasport [Canadian Passport]. http://www.niworld.ru/Statei/canad_pass/o_gurn.htm.